“What Translation of the Bible Should We Use"
“What Translation of the Bible Should We Use?" No translation is perfect. Translating ancient and foreign languages into English is not as easy as it would seem. There are ambiguities and linguistic hurdles. Picture a sliding scale from left to right. Every translation fits somewhere along that scale. At one end of the scale are literal translations and on the other extreme are dynamic translations. Literal translations relay the actual words used in the original language without being overly concerned with ease of reading or conveying the authors’ meaning. The emphasis is on what the original author says word-for-word. Dynamic translations try to relay the authors’ meaning without being overly literal—they express what the author means, not what he said. The emphasis is on what the author means without concern for using their actual words. Here is a good example: A man speaking English says, “I shot myself in the foot.” What did he mean? Those who understand English “figures of speech” will know he was saying he made a fool of himself or did something stupid. For non-English speakers, they will look down at your foot and ask, “Is your foot OK?” If you translated the English into Russian literally, you will render it, “I shot myself in the foot.” But if you do, the Russian gets the completely-wrong message. They think we are talking about a medical condition. But if you want the Russian to understand the meaning of the author’s text, you will not use the literal words but translate it to something like, “I did something stupid and made a fool of myself.” With our example, the first is literal and the second is dynamic. The first emphasizes what the author says, the second what the author means. All translations fit somewhere in between. So what Translations should we use? 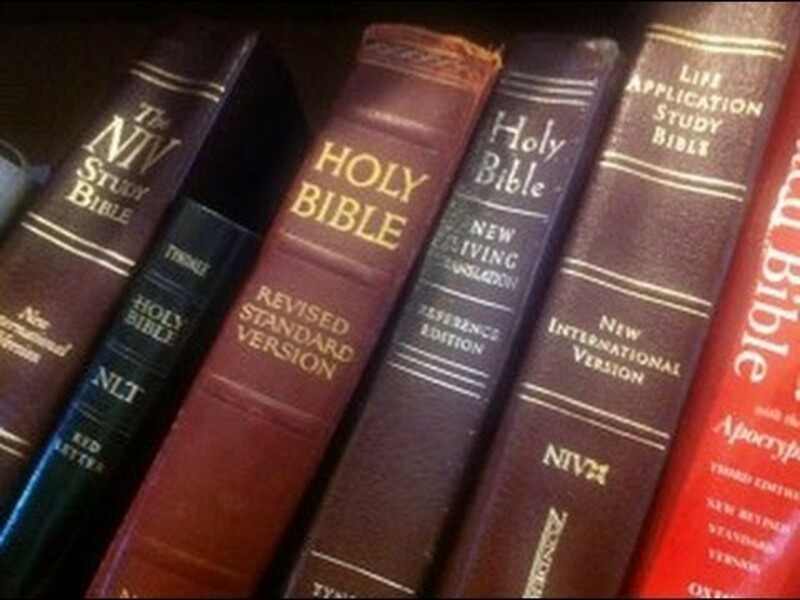 For Catholics I recommend reading the Revised Standard Bible, Catholic Edition (RSV) for the literal and the New American Bible (NAB) for the dynamic translation. It is best to read several translations side-by-side to get a much broader spectrum of the biblical passage. Want the best? Check out the Didache Bible published by Ignatius Press. I have purchased many of them to give to friends and priests. It is on the literal side of the sliding scale but becomes a dynamic translation as well by providing a plethora of footnotes and Catechism quotes. Many suggested I include the Douay-Rheims translation. I don’t use this much myself because it’s a translation of a translation and uses old manuscripts and language. It is like translating Russian into Spanish and then Spanish into English—a hundred years ago. I use it sometimes for its strong Catholic emphasis in certain passages. Again, as I said, it is best to read many translations side-by-side. For a strong Catholic emphasis, the Douay-Rheims is a good version to have in your stack. Another might be the English translation of the Greek Septuagint, which was the Bible of the early Church. The chart below shows many translations, most of which are Protestant translations, but it gives you the idea. The RSV is on the left end of the chart, whereas the NAB is under the “thought-for-thought” category. A paraphrase is not really a translation but the far extreme of the dynamic where the translator puts things into his own words—often with biases and personal opinions. If you want to find the right translation for you, check out the Verbum Catholic Bible Software that allows you to compare many translations side-by-side and to instantly access the original languages with English explanations. There’s nothing else like it!